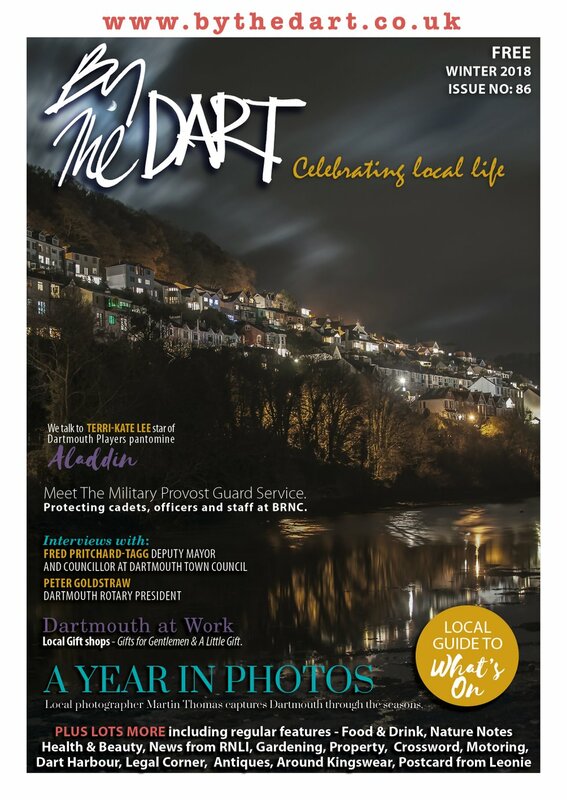 Photographer Andy Kyle is the man behind The View From The Dartmouth Office in By The Dart. 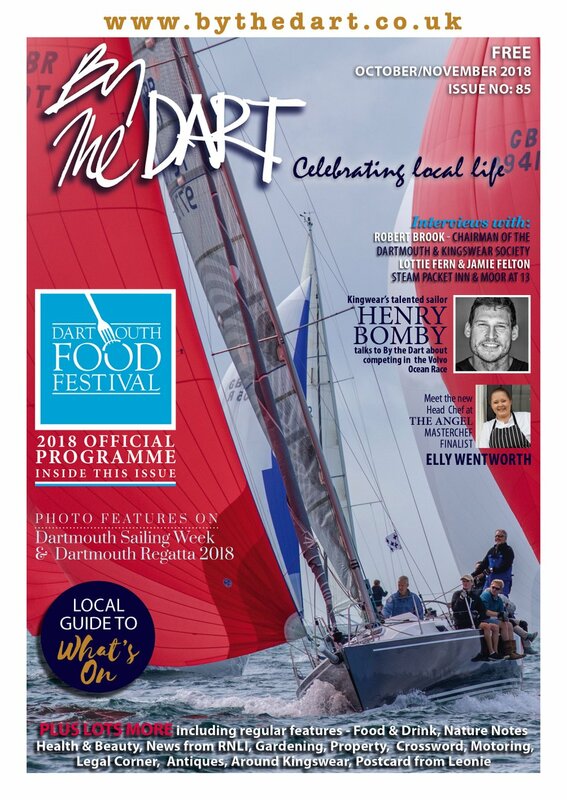 All of the pictures, which encompass Dartmouth daily life, are taken from Andy’s Above Town flat - which has a panoramic view of the river to die for. Andy said: “When we saw the view from Above Town, we knew we couldn’t be anywhere else. I moved to Dartmouth with my wife Helen ten years ago and settled straightaway in Above Town. “The View From The Dartmouth Office started four years ago – but I had been taking pictures from our home since we arrived. Initially, it literally was just the view from the office, until we moved 300 yards and now have the same magnificent view from the garden and whole flat. “Because of the bend in the river we can see one mile out to the headland, two miles up river and a two degree gap of the sea – and across that gap come some great shots. It really is a truly panoramic view and there’s always something happening – even at 3am. Andy’s pictures appear all over the place, including national and local newspapers. He also gets alerts from the RNLI to take shots of their lifeboat when out on patrol. Around a dozen different pictures have been published in national newspapers, which is quite an achievement from one spot. Andy is a former Fleet Street photographer and picture editor and understands the business well. He sends pictures to the South West News Service who distribute them to newspapers and magazines. Pictures which have made the nationals include the fire at Kittery Court and James Dyson’s £100 million Nahlin yacht – the same yacht used for the Royal Cruise in 1936 by King Edward VIII and Wallace Simpson - which were printed in the Daily Mail; and a stunning shot of a double rainbow, which was snapped up by The Telegraph, The Times and Daily Mail. Andy is from Eversley in Hampshire and, following work experience on the Camberley News in 1972 at the age of 16, cut his teeth as a press photographer with an apprenticeship at the Farnham Herald. During four years at the Farnham Herald, and the Reading Evening Post, he won the Under 21s Press Photographer of the Year award twice - an accolade that introduced him to Fleet Street picture editors, which helped him with contacts when he went freelance in 1976. On his first day as a freelancer his picture of Princess Margaret leaving hospital made the front page of the Daily Mirror. After six years of freelancing, Andy moved onto the picture desks of the Daily Mail, The Mail on Sunday and Daily Express. As a picture editor for 20 years he covered monumental events such as the millennium, Princess Diana’s death and the attack on New York’s Twin Towers. During this time he met his wife Helen, who ran the London office of the French picture news agency Sygma, now Corbis. The couple have been together 12 years and married two and a half years ago. After 20 years on the picture desks Andy started freelancing again, combining his photography with Internet research to generate story ideas. It was during this time the couple started to look to the South West. Andy and Helen were looking for somewhere to live in south Devon and “by fortuitous accident” found a place in Dartmouth to rent whilst looking around. 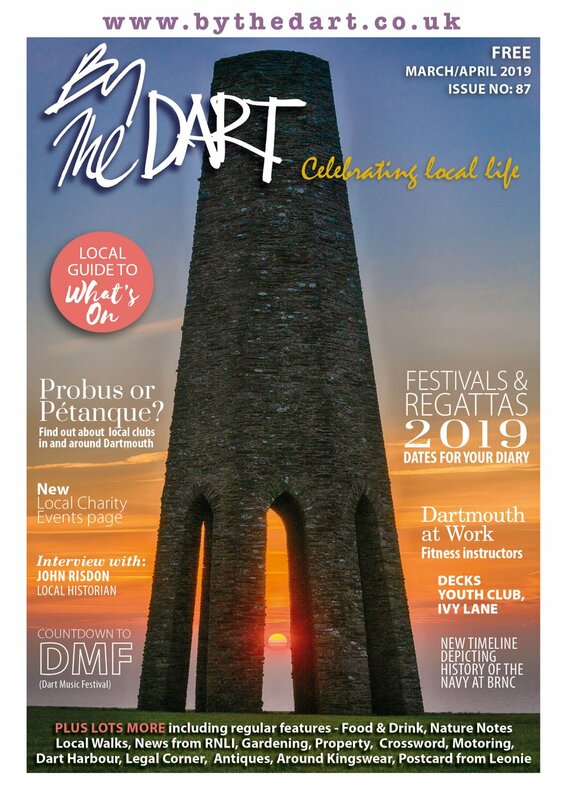 The website was started in 2009 and has built into a wonderful archive of Dartmouth daily life. “A lot of people like seeing what’s happening in Dartmouth, including second home owners and visitors who like to keep up to date with what’s going on while they’re not here. Andy specialises in pictures portraying the weather, boats, architecture and trains in the town and has had many people approach him as “the guy who takes the photos” in the street. He plans to develop the website further and make it more searchable, so people can search for individual boats etc. As you can imagine, Andy wears cameras out very fast and, although he is always buying new ones, he sticks to Nikon cameras and lenses. His prime garden location has been used recently for magazine photo shoots with Monty Halls and Paul and Rachel Chandler – the panoramic view providing the perfect backdrop.